Online shopping carts need to be functional, fast, and also look great. 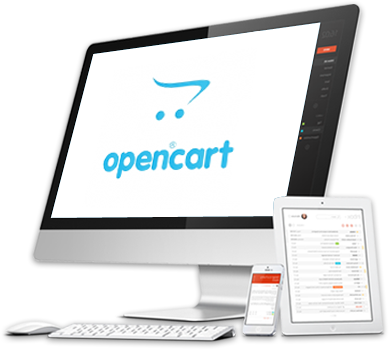 Bring your business to the fingertips of your customers with OpenCart ecommerce software. BMC Solutions in Perth will ensure your products and services are easily available in just a few clicks with our OpenCart website development services. OpenCart is an affordable ecommerce shopping cart software which once installed provides basic shopping features for your users. Ourecommerce website development involves apply ingyour chosen shopping cart template to the website, installing the software, and uploading your products to create an effective online store. At BMC Solutions, we specialise inWordPress design for Perth businesses. We have a passion for bringing websites to life and our website design and devel opment team will work with you to ensure your website takes full advantage of the numerous functions and customisations offered through WordPress. We help develop sites that load quickly, are easy to use and help with better Google ranking.For more information about how we can enhance your website with the help of WordPress, contact us today. Build an ecommerce website powered by Magento now. Contact BMC Solutions in Perth on 1300 732 381 today, or fill out the form below for a complimentary quote. NEED ADVISE ABOUT YOUR NEXT PROJECT OR READY TO START BUILDING YOUR WEBSITE? let’s talk about how we can help you..